MIEKE EERKENS teaches creative writing online for UCLA Extension’s Writers’ Program and as a visiting instructor for the Iowa Summer Writing Program. Her writing has appeared in The Atlantic, Creative Nonfiction, Los Angeles Review of Books, and Guernica, among others. She earned an M.A. in English from Leiden University in the Netherlands, and an M.F.A. from the University of Iowa. She divides her time between Amsterdam and California. 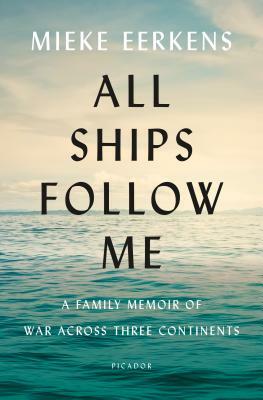 All Ships Follow Me is her first book.